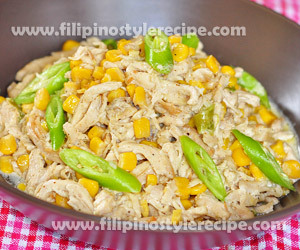 Filipino Style Recipe: Chicken Corn Chili is another mouth-watering chicken dish consist of shredded chicken, corn, chili and cream. 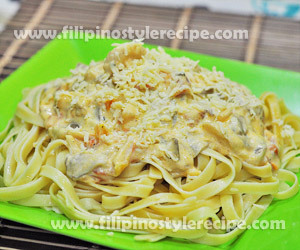 This can be served as filling in pita bread or with steamed rice. 1. In a pot, boil water with salt then add chicken and cook for 5 minutes or until tender. 2. Remove chicken and reserve the stock. Shred the chicken using fork. Set aside. 1.In a wok, heat oil then sauce garlic and onion. 3. Pour chicken stock, corn kernel, cilantro then simmer until reduced. 4. Pour cream, cheese, remaining chopped chili then simmer for a minute. 5. Adjust seasoning according to taste then continue cooking until almost thickened. 6. Remove from heat then serve with pita bread or steamed rice. 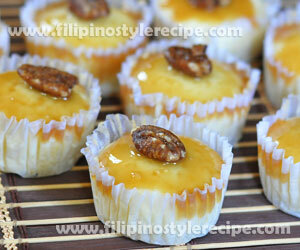 Filipino Style Recipe: The salted caramel sauce is very easy to prepare compared to the usual cupcake frosting. 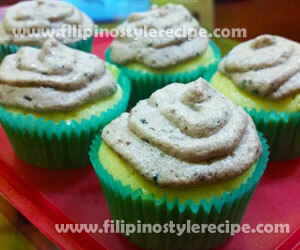 The salt balances the sweetness of the cupcakes and the pecan gives it a crunch. 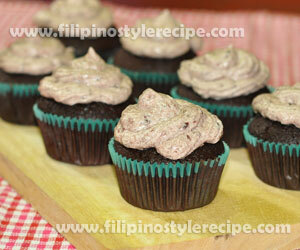 The cupcakes are also moist and creamy. I would say this is one of my favorite combination for a cupcake. 3.Combine the flour, baking soda, baking powder and salt. Alternate adding the sour cream and dry ingredients in 3 parts in to the butter mixture until just blended.Do not overmix. Fold in the egg whites to the batter until evenly combined. 1. 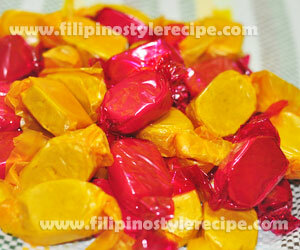 In a pan over low heat, put the caramel sauce and continuously stir until it starts to rapidly bubble and thickens. Remove from heat and stir salt. Let it cool. Scoop about 1/2 teaspoon into the top of each cupcake then top with pecan. 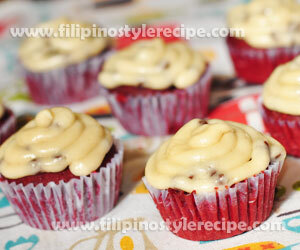 Filipino Style Recipe: Red velvet cupcakes with Frosting is one of the most popular type of cupcake nowadays. 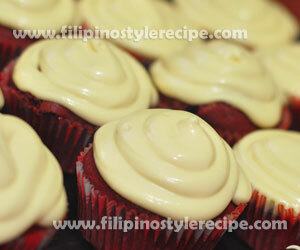 This recipe has a nice dark red color and soft moist cupcakes topped with frosting. 4. Scoop and spread the frosting on top of cupcakes. Refrigerate before serving. 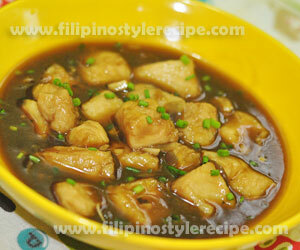 Filipino Style Recipe: Cream dory in sweet soy sauce is another simple and quick fish dish that consists of cream dory cooked in sweet soy sauce made of soy sauce, oyster sauce, cornstarch and sugar. 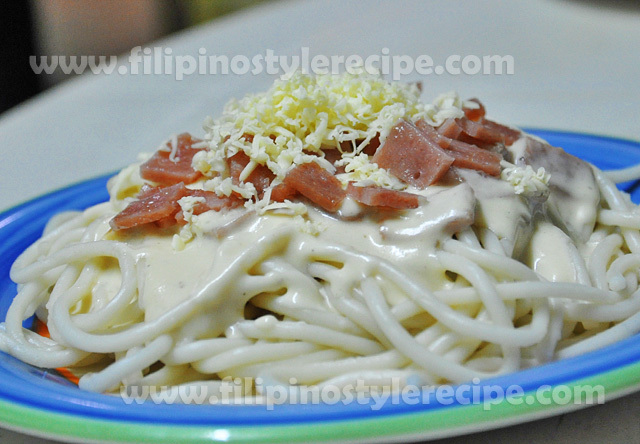 This can be serve together with steamed rice. 1. In a pan, arrange fish and ginger then pour enough water. Bring to boil for 5 minutes. Drain and set aside. 1. In a sauce pan, heat oil then saute garlic and onion. 2. Pour soy sauce, oyster sauce, water and sugar then bring to boil. 3. Add fish then simmer for 5 minutes. 4. Add dissolved cornstarch then bring to boil while keep stirring. 5. Add ginger powder, chili flakes then adjust seasoning with salt and pepper. 6. Transfer to serving plate then sprinkle with spring onions. Serve hot!